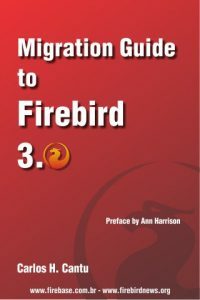 The 3rd part of the Interbase and Firebird Developer’s manual for ADO .Net was published. Examples for DDL queries, metadata schemas and ODBC sequences were presented. The 2nd part of the Interbase and Firebird Developer’s manual for ADO .Net has published. It describe code generators and Visual Studio 2005/2008 tools. New IBProvider v3.0 RC2 [build 3997] for 64 bits operational systems has been released. Also the related article 10 reasons to upgrade Interbase and Firebird application to 64 bits was published.